NEW YORK -- Snowflakes, Santa Claus and reindeer are returning to Starbucks’ holiday cups this year, after last year’s more subdued red cups caused an uproar from critics who said the chain was part of a so-called war on Christmas. In all, 13 different cups will hit stores around the world Thursday. Eleven of them will be available in U.S. shops. The cups were designed by customers who uploaded pictures of their designs on Instagram last year, the company said Wednesday. Starbucks Corp. has released holiday cups every year since 1997. The outcry over 2015’s plainer red cup grew after now President-elect Donald Trump suggested boycotting the chain. The company was surprised by last year’s controversy, CEO Howard Schultz said at an event in New York on Wednesday where the designs were displayed. “It’s just a cup,” he joked. 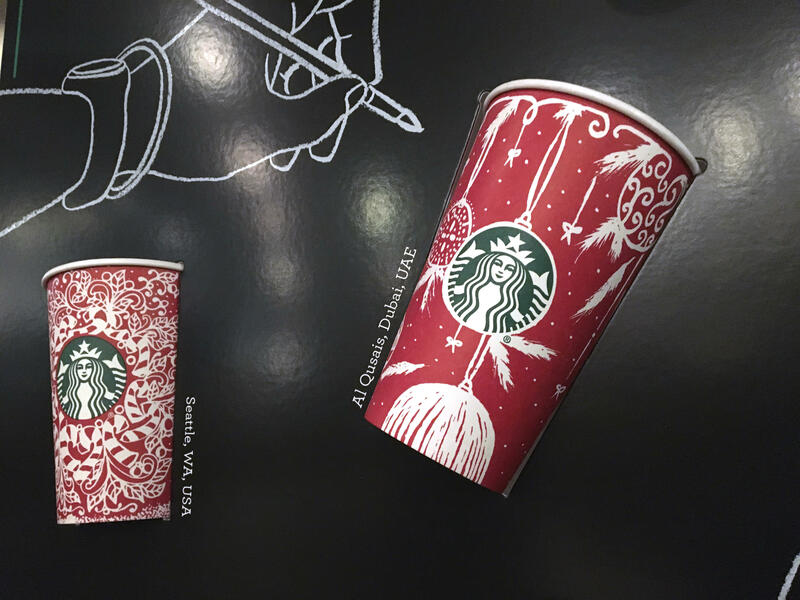 For the holiday cups, the company said it received 1,200 designs from customers online and narrowed them down. All the cups for hot drinks are red and have white designs featuring candy canes, ornaments or other holiday symbols. The one cup for iced drinks has a wreath wrapped around the Starbucks mermaid logo.